Whoop, whoop, it’s Friday! These last few weeks have flown by! Each day seemed shorter and shorter! In the beginning of the summer, I would find the days to be dragging a bit, but now, wow! Classes start next week so I guess that’s the nature of time telling me I’ve run out of time, haha! Before we know it, it will be Christmas and 2016 :O (I better go check on those “goals” I made…). I should probably plan to do something super exciting this weekend, but I doubt that will happen. Or maybe, not exactly exciting, but go to a farmer’s market, because yes, I still did not go to one at all this summer! There just aren’t any good ones close by :/ If all else fails and I still don’t make it, maybe I can figure out a way to go apple or pumpkin picking this year instead 😉 You know, we all need loads of pumpkins soon! Don’t try to be anybody but your unique self! I agree with this and need to start working on it more myself. I love the idea of #7! This list is awesome! Because is it really true? Probably not. Great perspective! Carla always gets you thinking. This lady is one superstar! #1 and some #5 are the only ones for me…but really, #1! We could all benefit from the simply life! Because it is the most important relationship you’ll ever have! Learn from these lessons if you haven’t already! So you want to hit the pavement? I’d never want anything else! When I have a house, I am decking out a complete gym room! I still think it would be fun to teach a spin or group power! Any age, stage, and life! I agree’ it just is for me. + Why Do Yogis Sometimes Cry During Savasana? Reminiscent of one of my favorite posts I’ve written! Neither are near me in NJ, but I can do without! + Why Are Millennials So Obsessed With Food? You can never have too many killer sammies! Load them up on tahini, mommas! I think the Asian veggies are my favorite! You can make any night and “something” night! I think we should have potato night! Because did you not already know you can use it for everything! Wow, some of these are interesting, some gross, some crazy! What’s hurt and what’s helped the Celiac community. Three cheers for this little girl! + Gluten-Free Fad – Is It Hurting Or Helping? One topic that doesn’t have a clear answer, but I do lean more towards one side than the other. They’ve been there, they’ve done that! This is like my Psych class in high school! Wonderful! And a tip (#20) from yours truly 😉 and #14 is a favorite of mine! You will never see me label a recipe as “skinny”…ew! If your get those dream clients, followers, and readers, that is success! Makes you a hell of a lot more credible! When they;re like mine and don’t like to be photographed! To delete or not to delete? that is the question! Uh, you can do what you want, when you want! + What Is Your Art? “Art” and creativity is so much more than you think and maybe not even what you think! + Who Knew Making Homemade Cleaning Wipes Was This Easy? I think my life has been made! Omg! 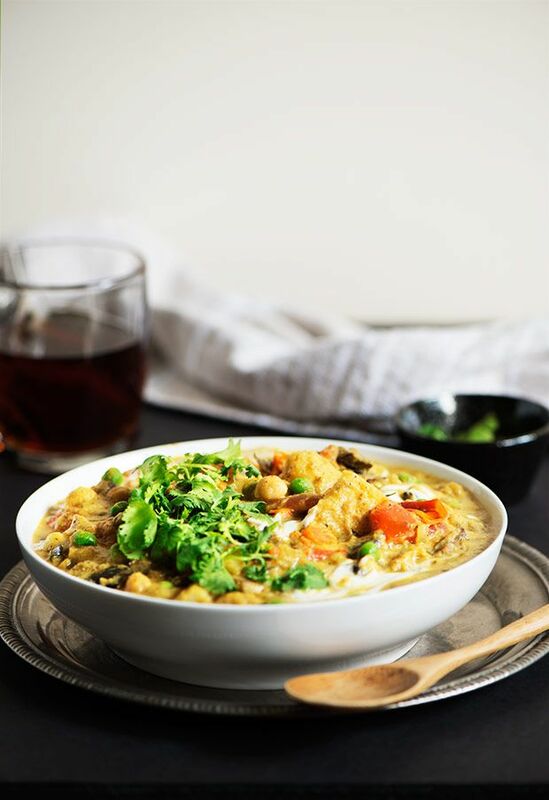 Potato Eggplant Kurma. Now how could you turn a bowl of this comfort down? 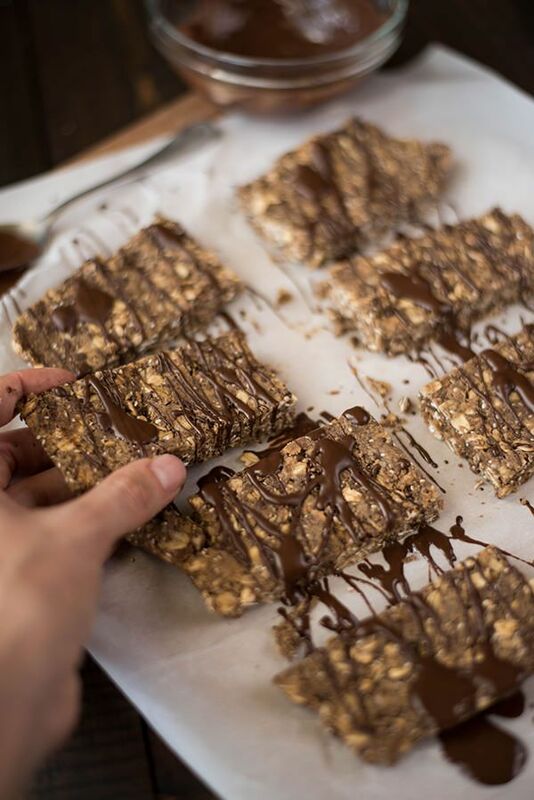 No-Bake Chocolate Peanut Butter Protein Bars. I think I should add these to the freezer stash! 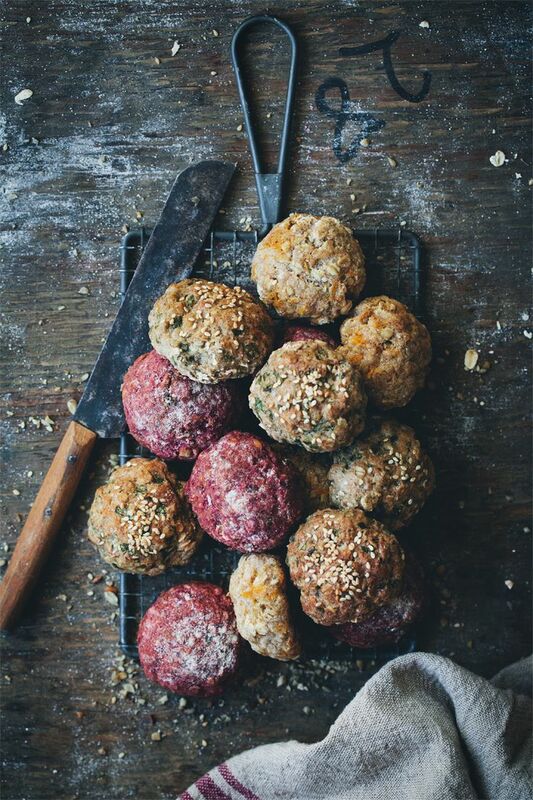 Gluten-Free Vegetable Buns. These are just so cool! Love the colors! 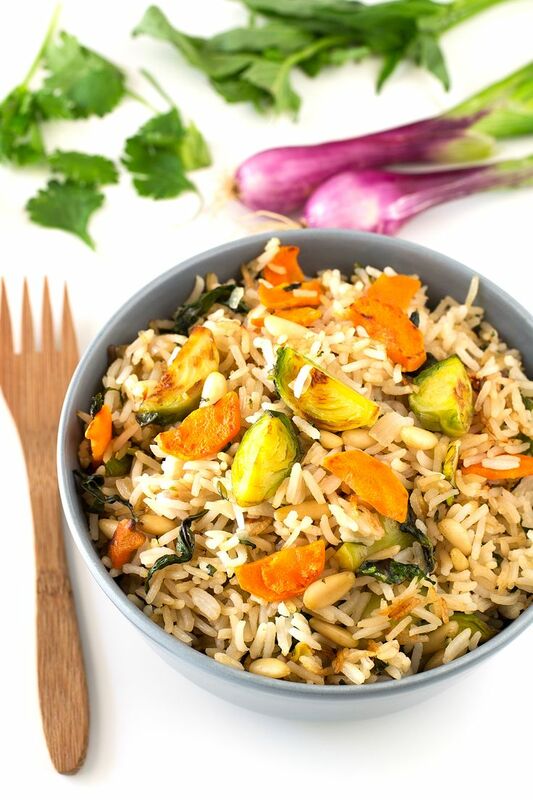 Brussels Sprouts Fried Rice. Because who doesn’t love fried rice enough already? 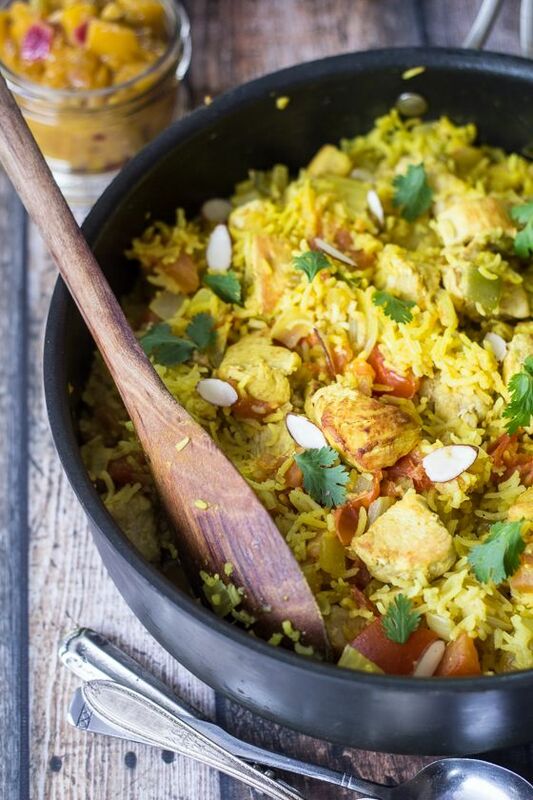 Quick and Easy Chicken Biryani. One of the best ways to eat chicken! 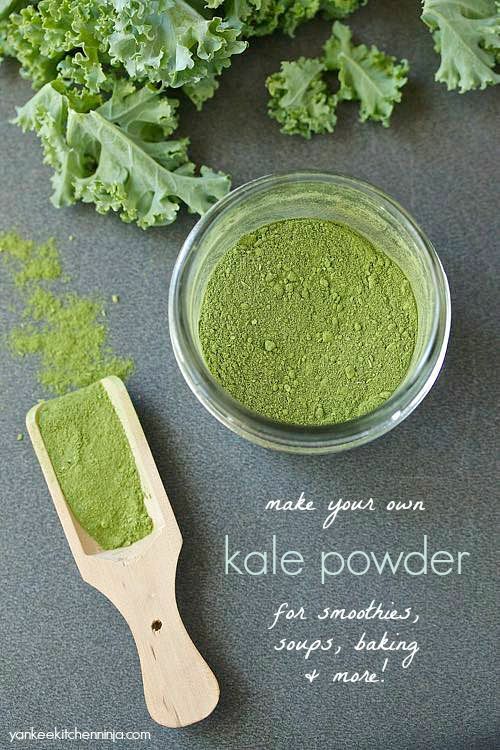 DIY Kale Powder. Screw Matcha or Spirulina! 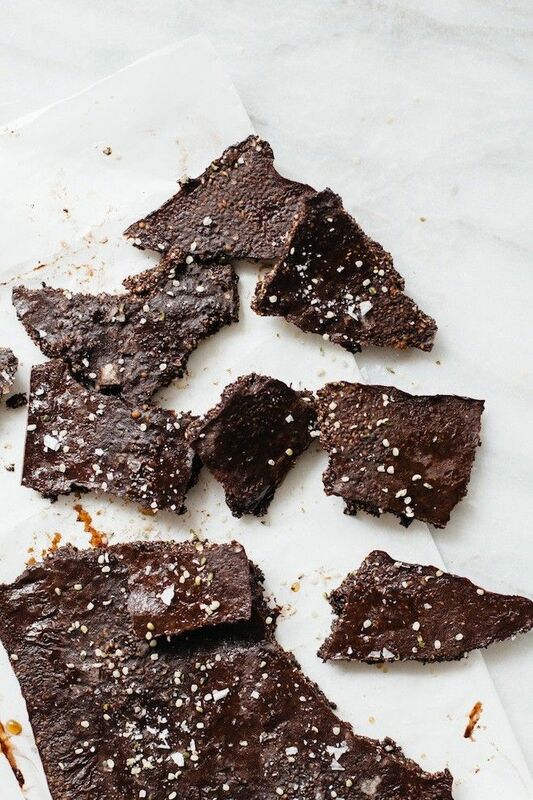 Make this (cheap) green superfood powder at home! 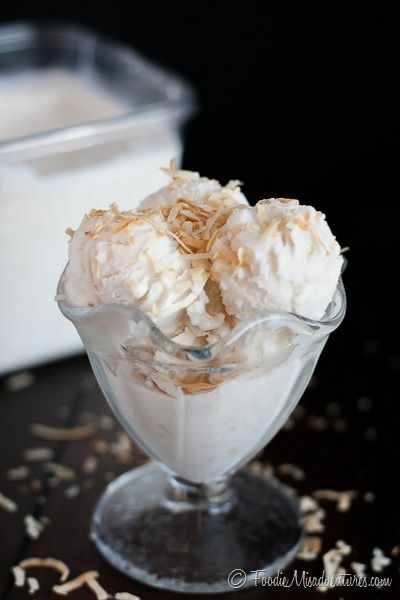 Toasted Coconut Ice Cream. You know I like to go all out with a flavor! If you want coconut, this is it! 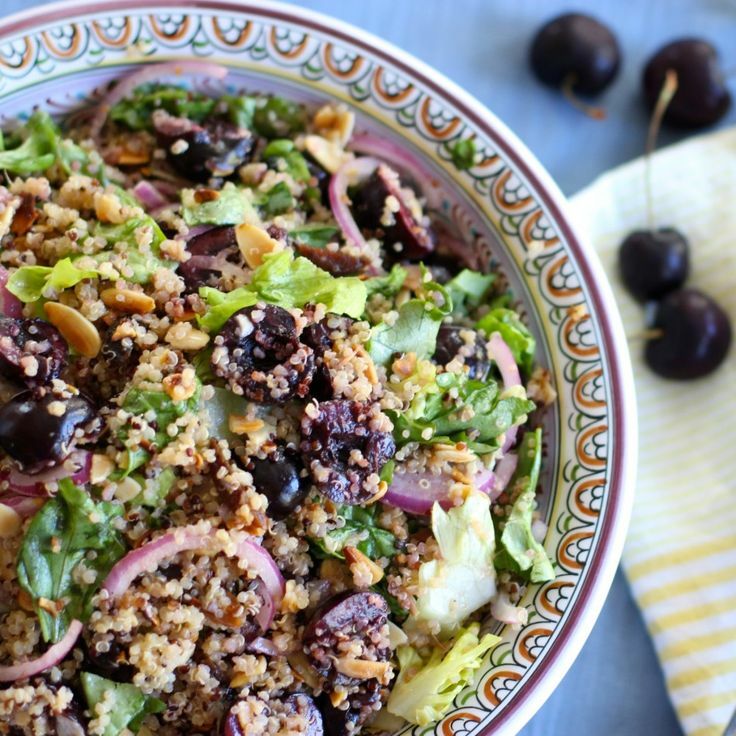 Easy Cherry Almond Quinoa Salad + Honey Ginger Dressing. This may to too stunning! 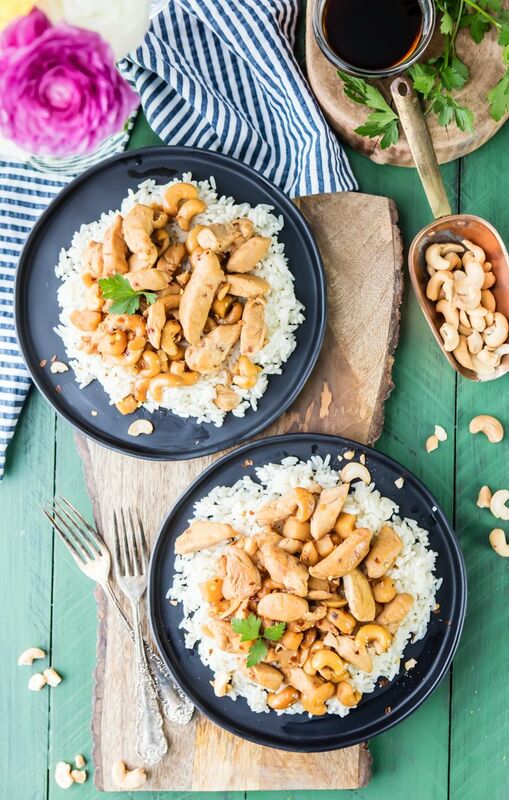 Slow Cooker Cashew Chicken. I want this, all of this! 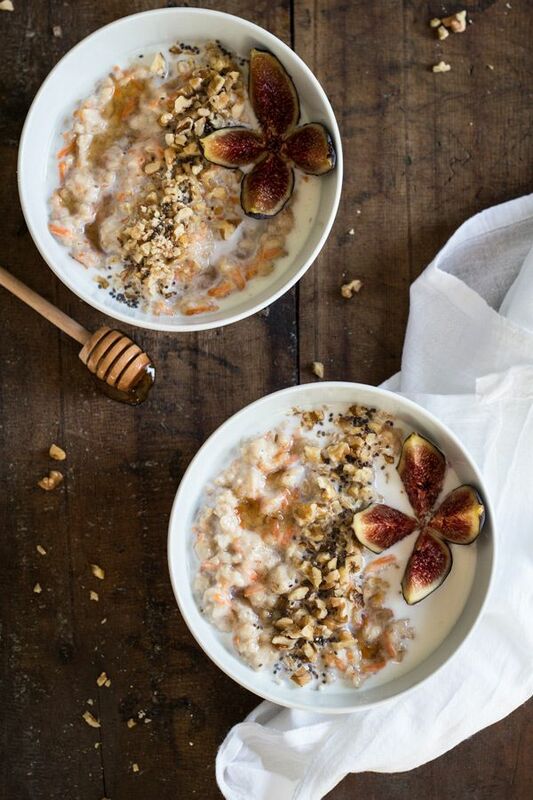 Carrot Cake Oatmeal. This is one stunning bowl of love and oats! (Look at those fig “flowers”, haha! + I finished another book! Score! It was a fabulous read, but ended a bit weird and then kept going and then ended again. But still worth the read! Now I’m starting Kind of Cruel, by Sophie Hannah. + Actually feeling semi-ready to start classes next week. Finally time to start enriching the mind again! + What are you currently reading? I always love hearing about good books to add to my ever growing list on Goodreads! + Did you study abroad in college? Where did you go? For how long? As always, you have so awesome looking recipes on here. Thanks for sharing! Thanks for including my Do You Yoga article in your link-ups. What a huge list of goodness and the food photos are just gorgeous, as I’m sure the recipes are too. My mum is celiac and I try to really limit my gluten intake. I didn’t do a swap year at college (university – a long time ago) but we did do a job/house swap as a family in 2011 from Australia to Canada (Whistler). It was a great time, and they had a good summer farmer’s market. We are lucky where we live to have a few farmers markets nearby all year round. That’s sounds awesome! Very enriching! I’ve always wanted to read the China Study! Love food culture books like that and I’m not sure why I’ve just never actually picked that one up yet! We don’t make it to our farmer’s market much either but we usually just look around for fun. Good luck starting school again next week! The one I have gone to in my area was terrible anyway, with barely anything there 🙁 Maybe it was discouraging! As always there are such good reads here! Your Friday Finishers encourage me to read something other than food, food, food, food blogging and more food. I always love the fitness and the fitness and the life, mind, body, spirit sections the most. So much good stuff in there! Thanks Kristen! I always love reading things outside my “realm” too! Like parenting posts, hahahaha! I love the links you shared in Life, Mind, Body, and Spirit this week! <3 Off to check em' out! I only made it to the farmer’s market once this summer and I didn’t even buy anything. Major fail. I love that post by Erin! Have a great weekend! It’s a lovely series dear! Great list of links as usual! Right now I’m reading Eating Animals and Lord of the Flies (again)! Loved Eating Animals! And I’ve never read the classic! UGH I must! That article about millennials and food was REALLY good. I’m reading Around the World in 50 Years – it’s a memoir but totally recommend it! Oooo I will so check that out! Thanks girl! Thanks for sharing Rebecca! These are a lot of great links that I can’t wait to get into 🙂 Have a great weekend! Hahaha! I have every brand of blender but the Vitamix and I don’t use them :/ None of them are good…but I bet the Vitamix is 😛 I just love my food processor! That’s all I need! I would so travel alone! I think that just makes the experience worthwhile! I know :/ I still wish I had my old reading habit back, I would read 100+ pages a day, now it’s only a little before bed. I need to check out those blog/photog tips- I’ve been trying to take mine up a notch! I heard that was good! I think it’s on my Goodreads! I need to get back into reading at night and I’ll look into your recommendations 🙂 I can’t believe that I didn’t make it to a farmer’s market this summer either – I always do! The summer flew by and I feel like I missed half of it. 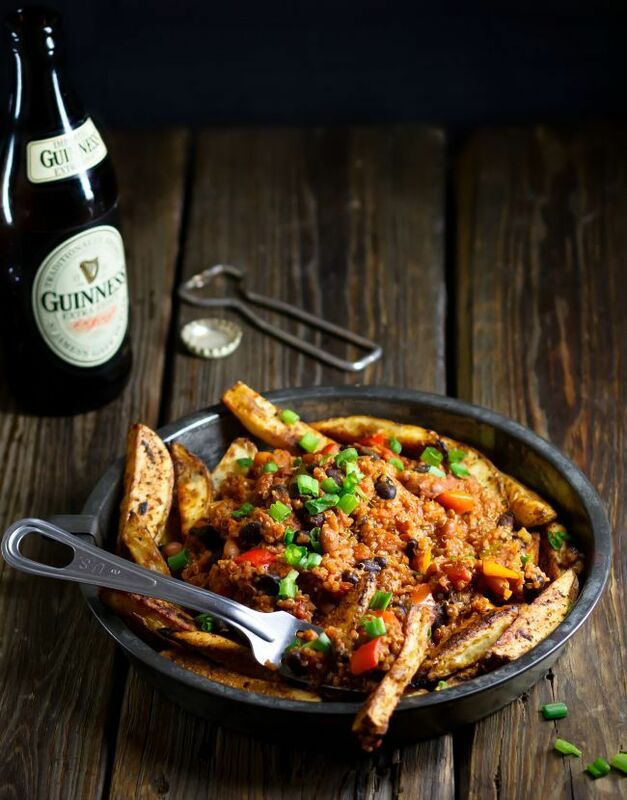 Scrolling down, the quinoa chili fries caught my eye in a big way, yum! I do love reading, so I make sure to read even just a few pages before bed! I wish I read more…but some days I really just “can’t”. :/ Sad.